Federal and state laws create many rights intended to protect residents of nursing homes from abuse and neglect. One of these federal lawsâ€”the Nursing Home Reform Actâ€”requires that nursing homes that receive Medicare or Medicaid funding must create a comprehensive care plan for each resident. A care plan is the blueprint for care that an individual resident requires and is based on the residentâ€™s specific needs. Care plans change according to the activities of daily living that a nursing home resident is capable of accomplishing alone. Can your loved one feed herself? Can he or she walk unassisted? The care plan should be tailored to your loved oneâ€™s individual needs and should not be altered without consultation involving all parties. To create a care plan, nurses, physicians, dietitians, other appropriate staff, and family members meet to discuss the patientâ€™s needs. They should decide what types of care are needed, and which professionals are responsible for which care duties. Families have the right to have access to their loved oneâ€™s care plan. Everyone involved in a patientâ€™s care should read the plan and carefully follow it. When a patientâ€™s needs change, the care plan should be altered accordingly. Sometimes, nursing homes fail to follow care plans. In these cases, serious injuries can result, including broken bones, head injuries, medication errors, malnutrition, dehydration and even death. Families who suspect that their loved oneâ€™s care plan was not followed can take legal action. Speaking with a lawyer should be the first step. At Solomon & Relihan, we have in-depth knowledge about federal and state laws on nursing home neglect. We can work with you to explore your options, holding nursing homes accountable for causing harm by failing to follow care plans. At Solomon & Relihan, our attorneys understand the seriousness of the responsibility we have to our clientsâ€”to do the very best we can for them. Our work begins with using legal strategies designed to achieve favorable settlements and jury verdicts. It continues with providing the support our clients need to move forward after a nursing home fall or other injury. If someone you care about has been abused or neglected in a nursing home, take prompt action. 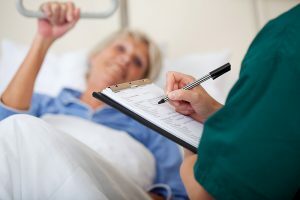 By not adhering to a resident’s care plan, the facility may be in violation of the law and liable for damages. Speak with us to learn more about your rights and options. Our attorneys will answer all your questions.